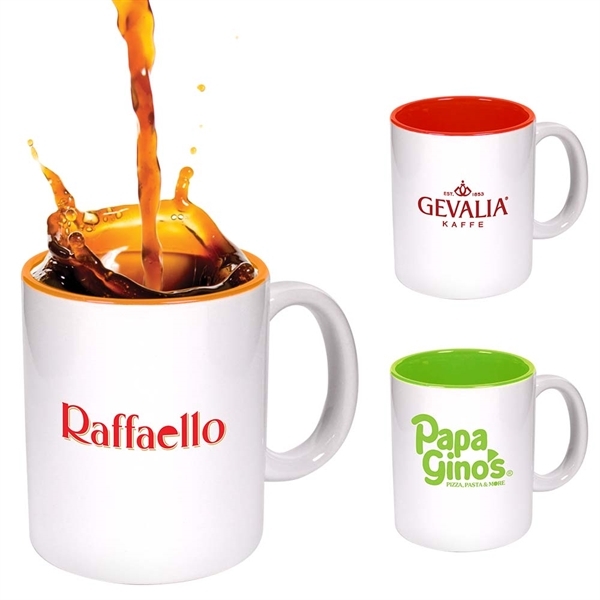 Production Time: 50-60 business days - A classic white mug with attractive solid color accent inside. Large white face is ideal for imprinting. Size: 3 1/2 " x 4 "